SSD otherwise known as Solid State Drive and sometimes referred to as Solid State Disk is a nonvolatile storage device that are used to store persistent data on solid state flash memory. In the traditional sense of the term, Solid-state drives actually aren’t hard drives per se since they have no moving parts like HDD which has a spinning disk with a write/read head on a mechanical arm. On the other hand, SSD uses integrated circuits rather than optical storage media and it is made of array of semiconductor memory which was organized as a disk drive. There are so many advantages attached to this flash based memory device. They require less battery power consumption in order to read and write even at very high speed which implies that your laptop will have an extended battery power. Moreover, they only require few seconds to boot and your system can be ready to start work in matter of seconds. SSD copy Giga bytes of data in just few seconds and it even load your apps faster with higher performance. SSD are very durable, in fact they are more durable and even quieter than your usual HDD and they have much faster performance. However SSDs have a finite number of write cycles before their performance starts becoming erratic; this implies that they have a set life expectancy and therefore calls for need for a constant health check of SSDs. Even though this new drive provides high speed, high performance and even less power consumption it is still a bit lagging behind hard disks in terms of its reliability and lifespan. There is a need for you to keep on monitoring and checking the health of your SSDs when you are using it to save all your data so that you can be able to secure all your data before any system failure in SSD will lead to loss of your important data. How Do You Check The Health Of Your SSD? One of the downside of using SDD is the constant wondering whether your SSD is going to last or not. Well, this tool aims to help you enjoy your flash based memory device without the constant worries. All you need is to install it on your computer and it quietly do it work in background. It tracks what is being written on your SSD and lets you know the total usage of your SSD on daily basis. This tool can tell you the life span of your SSD and can even predict the next time you need to buy new SSD. This tools prepares your SSD for emergency, it monitors the lifespan of your SSD and even help you to back up your important data before your SSD crashes. In order to use this tool to detect any critical defects on your SSD, you need to install it on your computer so that it can effectively and quietly monitor the health of your SSD. This is another effective tool for the health check of your SSD. It comes with 2 utility programs, i.e. the “smartctl and smartd” to help you to better monitor and control your hard disk. One unique thing about using Smartmonotools is that it monitors your hard disk in real time , it even go ahead to analyse and give you warning in case of any potential disk degradation and failure. This tool is awesome; it sets a benchmark for tools that are needed to check the health of your SSD and best of all you can use it for free. Crystal Disk Mark is designed to test your hard disk in sequential reads/writes, random reads/writes and QD32 Modes. It also helps you to compare multiple disks based on their read write performance. Another great tool that you can use to monitor the SSD hard disk’s temperature and overall health status; It has the capacity to check your disk’s S.M.A.R.T and read/write speed. Crystal Disk info also has the capacity to check other hard disk types. All you need to monitor your system hard disk performance in real time with this tool is to install it on your computer. This is drive management software which lets you keep an eye on the health status of your drive. It can also help you get an estimation of the remaining lifespan of your drive and S.M.A.R.T attributes. With Intel Solid-State Drive Toolbox, you can take fast and full diagnostic scans to test the read/write functionality of an Intel SSD. 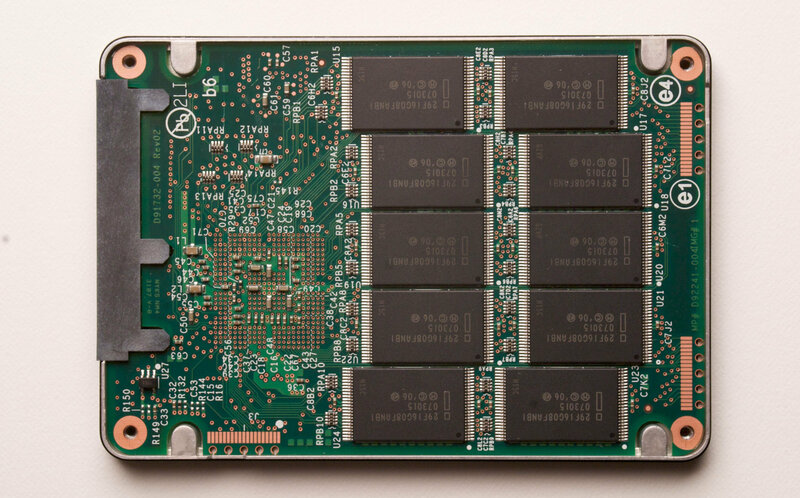 SSD is still a new technology; it has some much potential and looks very promising. There are many benefits that come with it and many of it qualities that are still untapped. However at the moment, it is still not perfect which requires that you constantly keep an eye on its health status with any of the tools suggested above. This entry was posted in SSD Health Check on February 19, 2016 by satyenhacks.